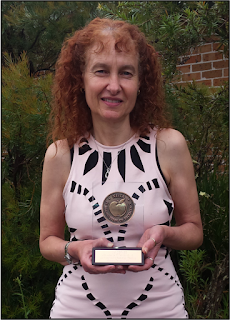 AGBU Alexander Primary School - Blog: EXCELLENCE IN TEACHING AWARD! Over the past fourteen years we have been privileged to have a teacher who has been the backbone of our academic achievement. Our Curriculum Coordinator, Mrs Vicky Dernee is the force that has guided the school and students towards higher achievements. We could not have asked for a better member of the school executive than her. Her support and dedication both inside and outside the classroom is a testament to her achievement. 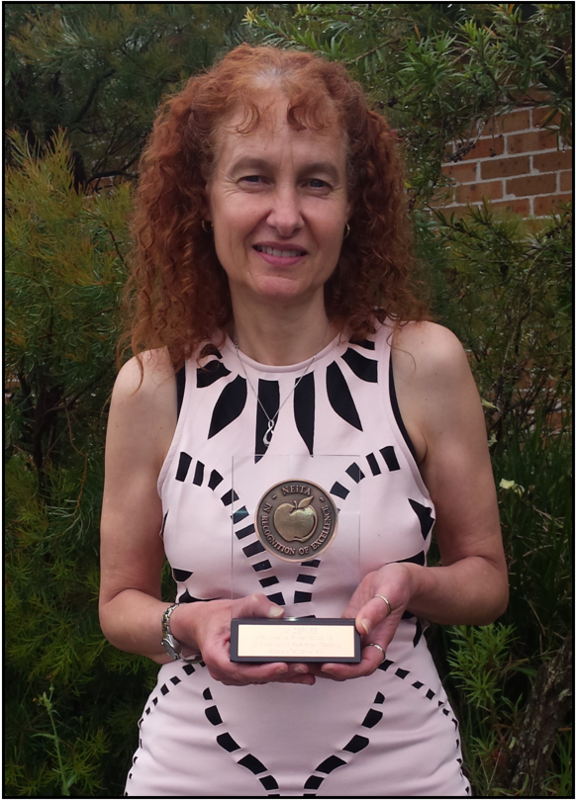 At the start of the year, the School Board nominated Mrs Dernee for the “Australian Scholarships Group National Excellence in Teaching Award”. During the 25th Anniversary Concert we were happy to announce that from over 1,100 nominations Australia wide, Mrs Vicky Dernee had been named as one of 60 State and Territory recipients of the 2015 ASG National Excellence in Teaching Awards. In fact, she was one of the only 30 NSW award recipients and we hoped she would continue to be selected for the national awards final. Last week, as part of the World Teachers’ Day celebrations, Mrs Dernee was handed her award’s Trophy and Certificate. On Thursday, 5 November Mrs Dernee received another letter of congratulations, informing her selection for the next round of judging for a 2015 ASG National Excellence in Teaching Award. From the 60 teachers who received the National Excellence in Teaching State and Territory Awards this year, she was one of the 36 teachers with the highest scores and therefore has been advanced to the next level! To now be considered for one of 12 national awards, Mrs Dernee will need to complete a short essay on her teaching and provide a video interview. The scores from these two assessments will be added to her existing score to determine the 12 teachers to receive an ASG NEiTA National Award. On behalf of the School Board, members of staff and the Alexander family, we congratulate and thank Mrs Dernee for her many years of service and dedicated work in teaching our children. We also wish her all the best in the final round of the national teaching award. ASG’s National Excellence in Teaching Awards (NEiTA) Foundation was established in 1994 to honour exemplary teaching throughout Australia and New Zealand. For more than 20 years, these awards have provided communities with the opportunity to formally recognise and thank outstanding teachers and leaders. ASG is proud to continue its support for the teaching profession by acknowledging the valuable role inspirational teachers play in the development of our young people. Since its inception, ASG NEiTA has received more than 30,000 nominations from early childhood and school communities throughout Australia. More than 1000 teachers have received awards, and more than $125,000 has been awarded in professional development grants and prizes. MASTER ‘KHACHKAR’ SCULPTOR AMONG US! CELEBRATING 25 YEARS OF ACADEMIC EXCELLENCE!